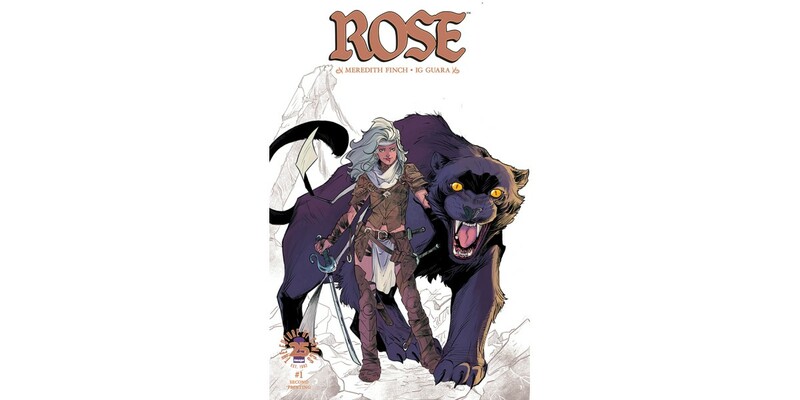 The bestselling fantasy series ROSE by Meredith Finch (Wonder Woman, Little Mermaid) and Ig Guara (Batman: Arkham Knight, Blue Beetle, The Ravagers) is being rushed back to print in order to keep up with overwhelming customer demand. ROSE #1, 2nd printing (Diamond Code MAR178085), ROSE #2 Cover A Guara (Diamond Code MAR170774), Cover B Mendonca (Diamond Code MAR170775), Cover C SPAWN (Diamond Code FEB178670), and Cover D SPAWN B&W (Diamond Code MAR178016) will be available on Wednesday, May 17th. The final order cutoff deadline for comics retailers is Monday, April 24th.